My first choice for this week is this stunning photo from Amy at very much so. I just love everything about this photo, the location, the scale, the sunlight pouring through the trees. Just gorgeous! It's Friday! Today is also the last day of Lyra's first full week of school (I know we're in October but her school had a very long transition period). I can't believe how much she seems to have grown and learnt these past few weeks. I also can't believe how much I've been missing her. Our Sunday adventures have become even more precious. Next up is a lovely photo from Donna at what the redhead said. I may be ever so slightly jealous of Donna and the other bloggers having had this fab weekend away in such a beautiful location! I spent last weekend in Cumbria, along with eight other bloggers, as guests of @SallysCottages. We had a chance to relax, unwind, catch up and just spend time together – something that bloggers don't get much of a chance to do, especially as we live all over the country! I've written about the weekend over on the blog today if you'd like to read more about it – I wish the weekend could have lasted so much longer. My third pick this week is from Leah at Home Family Life. I love the realness of this photo, the perfect imperfection that sort of sums up how it is to get out of the house with small children sometimes! My last choice for this time is from Kerry at Kerry Louise Norris. I asked Steve to take a couple of photos of me and Nerys out in the garden, and while he took some lovely ones of us looking straight at the camera I think this one of us looking at each other is my favourite. We were rubbing noses which Nerys thought was hilarious, and when she gets the giggles I find it almost impossible not to start laughing too! My first pick for this week is this gorgeously vibrant photo from Lucy at Mrs H’s favourite things. Is there anyone out there who doesn’t have the urge to sing the Mary Poppins classic at the slightest mention of flying kites?! 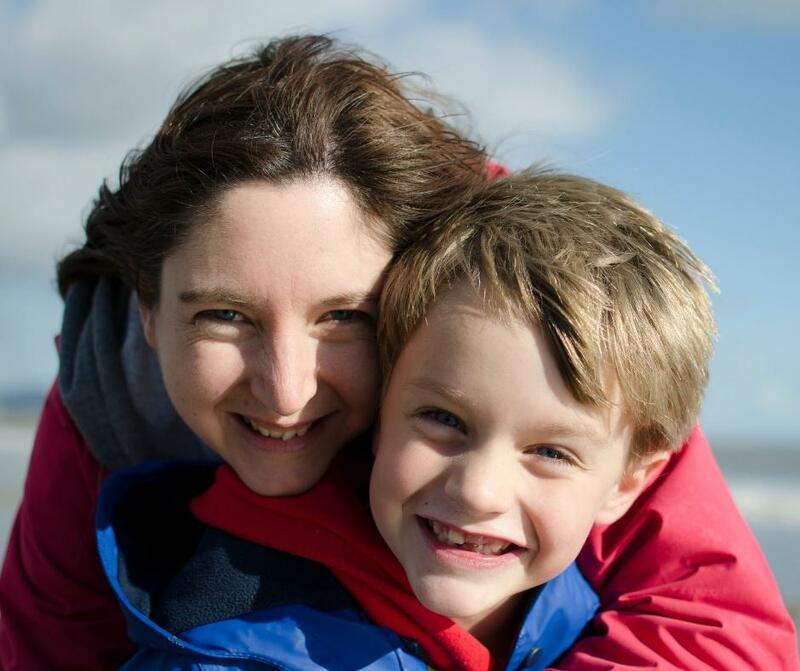 Next up is this fab mother and son selfie from Kayley at friendly first foods. I just had to include those happy faces in this week’s round up! My third choice is from Kay at Mummy Burgess. Not only is this a gorgeous photo, but it also comes with a really lovely caption about being happy and content. My last pick for this time is this brilliantly autumnal photo from Jaymee at The mum diaries. This just brings back so many memories from my childhood, and makes me want to go and hunt out some good conkers with the children so we can have a play! 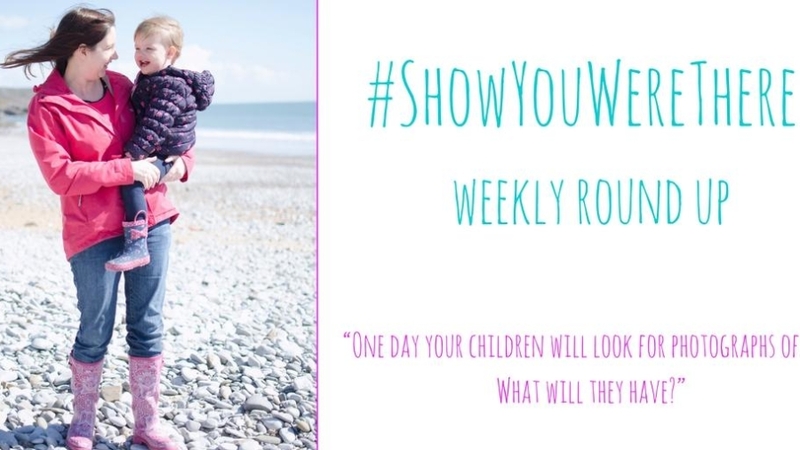 Thank you so much to everyone who is using #ShowYouWereThere and making sure they’re existing in photos with and for their children. I love seeing your photos popping up over on Instagram! This was taken on a recent windy trip to the beach. We hadn’t been down for a while and I think we were all in need of a good blast of sea air. The children were a bit disappointed that it was too cold for them to go swimming though; they loved it so much in the summer. We still had a lot of fun though, running away from the waves. The tide was on its way in while we were there, and I always forget how quickly it comes in here in Swansea! My first pick for this week is this gorgeous family photo from Katy at Hot Pink Wellingtons, with thanks to and then she clicked. It is just such a stunning photo and the big genuine smiles are so contagious! Next up is this brilliant dose of real life from Wendy at Naptime Natter. I think we’ve all ended up like this at one point or another thanks to over-enthusiastic hugging haven’t we?! When you ask the hubby to get a nice photo of you and the kids next to some pretty wild flowers and they just hug you so much you end up in a heap on the floor. If anyone sees a pile of flat flowers in Brynmill Park, soz that was my kids! My third choice is from Kirsty at Kirsty Ralph. I just love this moment between Kirsty and her daughter, and the idea of the legend of Robin Hood being passed on to another generation. My last pick for this time is from Amy at The smallest of things. It’s just such a wonderfully happy photo, take a look at those matching smiles! 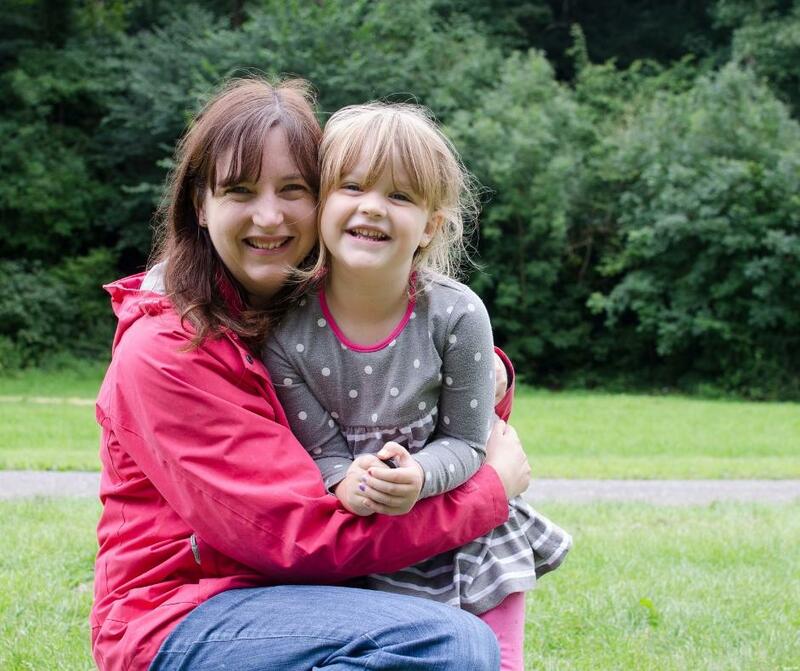 My first pick for this week is this lovely photo from Jen at Spoonfuls of glitter – I love the sound of the girly weekend she had with her daughter! Next up is this summery shot from Elaine at Entertaining Elliot. It’s felt so autumnal this past week, this sunny photo was a lovely reminder of how great this summer was! My third choice is from Charlotte at Mummy Fever. How amazing is that view? I’ve never been up to North Wales but seeing this photo makes me really want to go and spend some time there! My last pick for this time is this gorgeous photo from Amy at Very Much So Blog. I just love this photo, and the message Amy shared with it – even big girls need help sometimes. I’m 36 now and definitely still need my mum to lift me up and help me out! 'Because even big girls need help sometimes' This has become a little mantra for Lyra and I over the summer holidays. With so much talk of big school and of growing up it's nice for her to know that she doesn't have to know it all yet. Hell, I'm 31 and still don't! We went for a lovely long walk through Parc Le Breos the other week. While we were there we stopped to take some photos for the me and mine project, and Nerys and I snapped this one of the two of us together while we were at it. If you look closely you can see that she has the remote trigger in her hand – she absolutely loves being the one to press it and take the photos when we’re out and about like this! My first pick for this week is from Ruth at Mummy and the Mexicans. This little bump photo just made me smile so much, especially when I read the caption saying that her 4 year old had taken it. 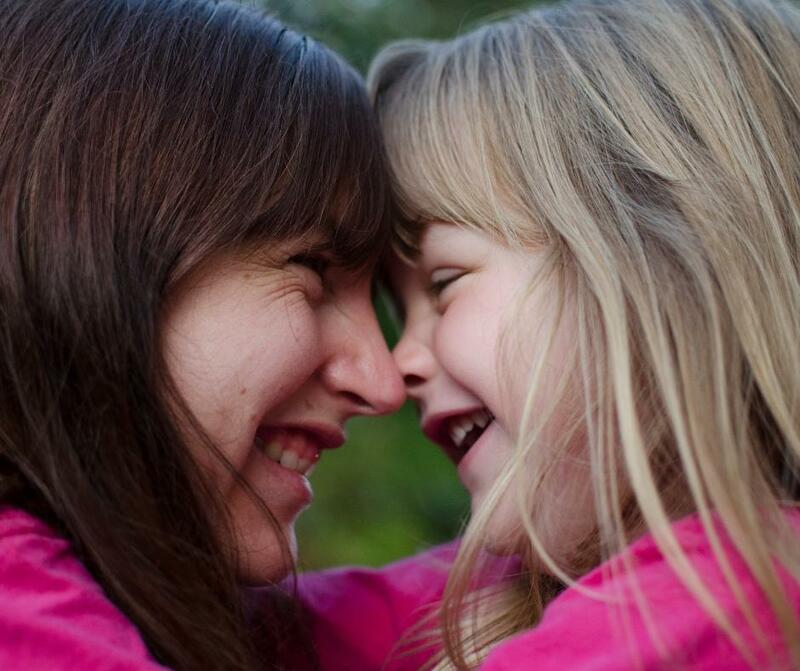 Next up is this lovely shot from Leah at Home Family Life. I really love this moment that’s been captured, as if Leah and Tommy weren’t really aware the photo was being taken. My third choice is from Sabrina at The Mummy Stylist. Sabrina’s photos are always just so much fun and this one is no exception. I love all their hats and the expression on her son’s face, just so happy! My last pick for this time is from Alex at That Butterfly Effect. This is another photo that is just so joyful I couldn’t not include it in this round up! Look at all those happy faces, just perfect! My mum has always said that she can tell when a photo of me was taken by Steve, because of the way I’m smiling. Looking at this photo that he took of me recently, I think I know what she means! I think it’s probably safe to say that we’re taking more photos now than ever before. The problem is that so many of those photos never actually see the light of day. We might share them on social media but other than that they sit on our phones and our hard-drives, not really being enjoyed or appreciated by anyone. There are so many good reasons to print and display our photos though, and with so many options available now is a great time to make the most of all those photos we take. 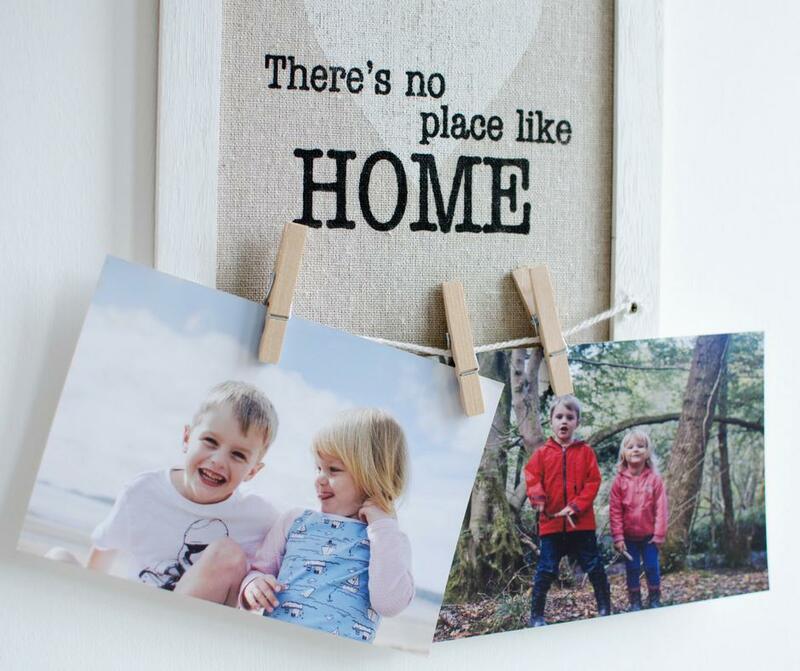 If you’re still stuck for ideas and inspiration here are some fun ways that you can display your photos throughout your home. If you’re going for a calm, neutral feel then framed photos are a great options for a child’s bedroom. You can put a few in simple frames and display them on a bookshelf, or even make a little gallery wall of photos of your family. On the other hand, if you’re after a brighter and more striking look for the room then you could use one of your photos to create some custom wallpaper. You could then hang the wallpaper to create a really stunning feature wall. 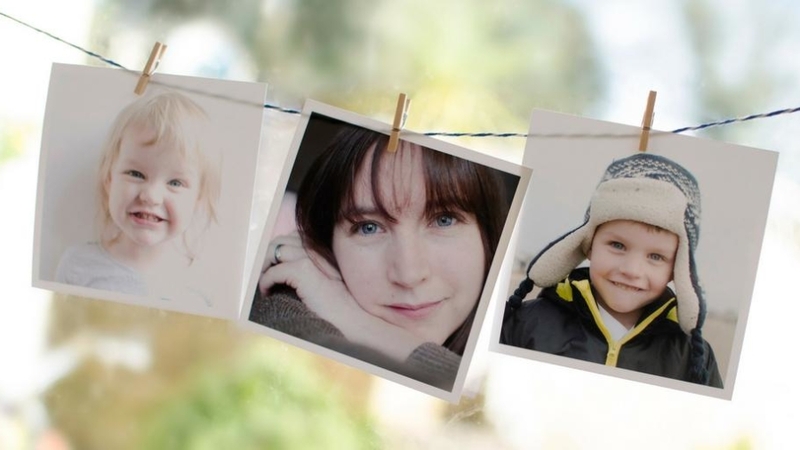 This would be an amazing idea if you have a photo of your family at the beach or one of your other favourite outdoor spaces. I love the idea of having a collection of family photos and holiday snaps on display in the hallway, it’s such a lovely thing to be greeted by when you come home. My parents have had a noticeboard up in their hallway for as long as I can remember, with a real mix of photos pinned up on it. If I close my eyes I can still picture some of the photos that have been added to that board over the years. A noticeboard like that could also be great for having a space to pin little reminders of things you need to grab as you head out the door in the morning! Our take on the idea is this little quote picture with space to hang a couple of our favourite photos. What I really love about this idea is how easy it is to switch out the photos each time you get a new set printed. You can stick with the classics in the kitchen and display a load of photos by sticking them to your fridge with some brightly coloured magnets. 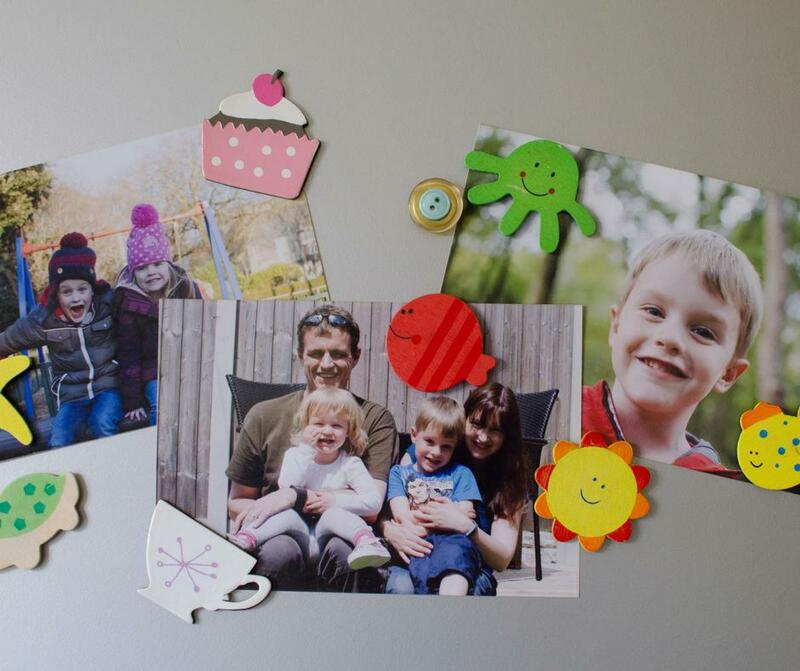 If you prefer a cleaner look then you can get some magnetic frames to display on the fridge instead, or even have your photos themselves made into magnets. For an extra bit of fun you could get some photos printed on a mug, or a set of coasters, to brighten up your morning coffee. The lounge is the perfect room in the house to display your family photos as art. You could create a gallery wall with framed photos of different sizes and maybe a couple of framed quotes to break it up a bit. Another great option is to have a few of your photos printed nice and big on canvas and then hang those on the wall. If canvases aren’t really your thing then there are all sorts of options available these days, including metal, wooden and acrylic prints so there should be something out there to suit your style. 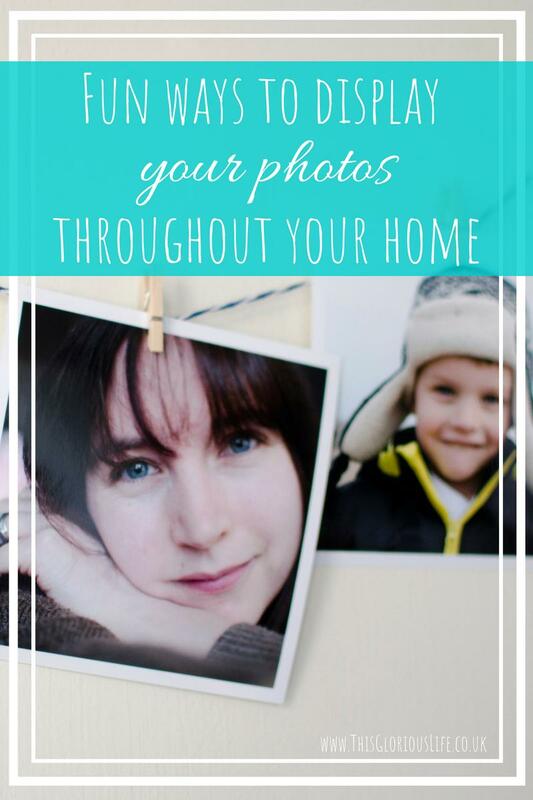 How many of your photos are on display in your home? 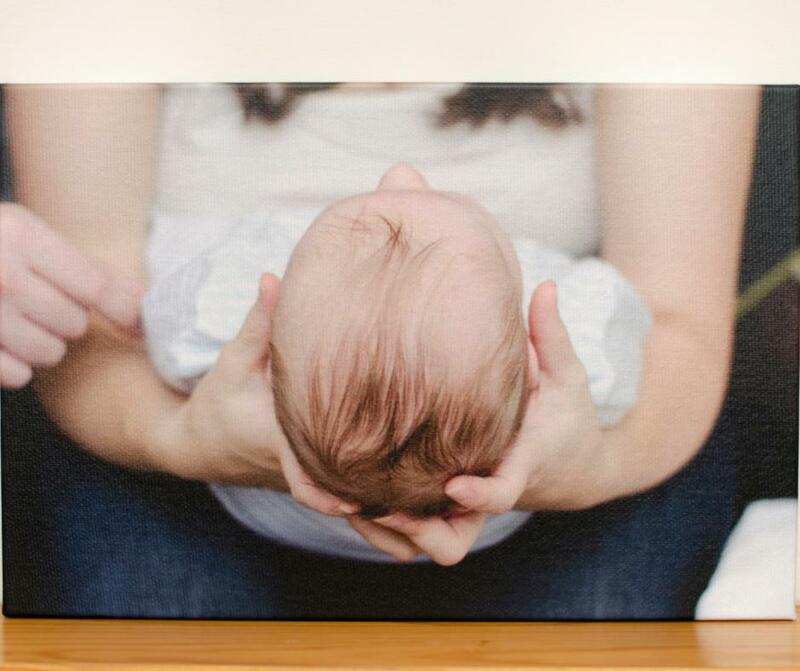 Do you have any other creative ideas for getting your photos off your computer and into your home? In the spirit of the #bemorewitwitwoo tag that has been created in the last week after the sudden passing of Kate from Wit Wit Woo, this week I’m sharing some photos from people being themselves, celebrating their beautiful bodies, having fun, and generally being a bit more wit wit woo. My first pick is from Lucy at Mrs H’s favourite things. There is just so much joy, and colour, and life in this photo, I absolutely love it. Next up is this fab #swimsuitselfie from Donna at What the Redhead Said. 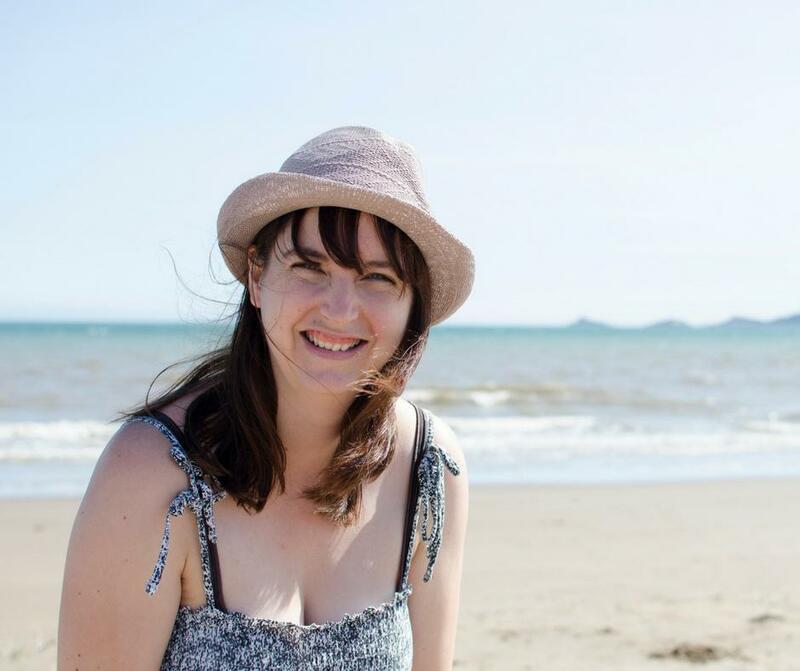 You might have seen a whole host of photos of people in their swimsuits yesterday, in honour of Kate’s many messages of body positivity that she shared with the world. This photo from Donna, and the caption she wrote to go with it, captures what so many people are feeling right now. 'BIKINI READY! ie. I put a bikini on and wore it.' A lovely friend of mine said this less than a month ago – and it rubbed off on me, as did so much that she said. I'm happy with myself and comfortable in my skin for the first time in my life – and it's only taken me 34 years to get to this point. 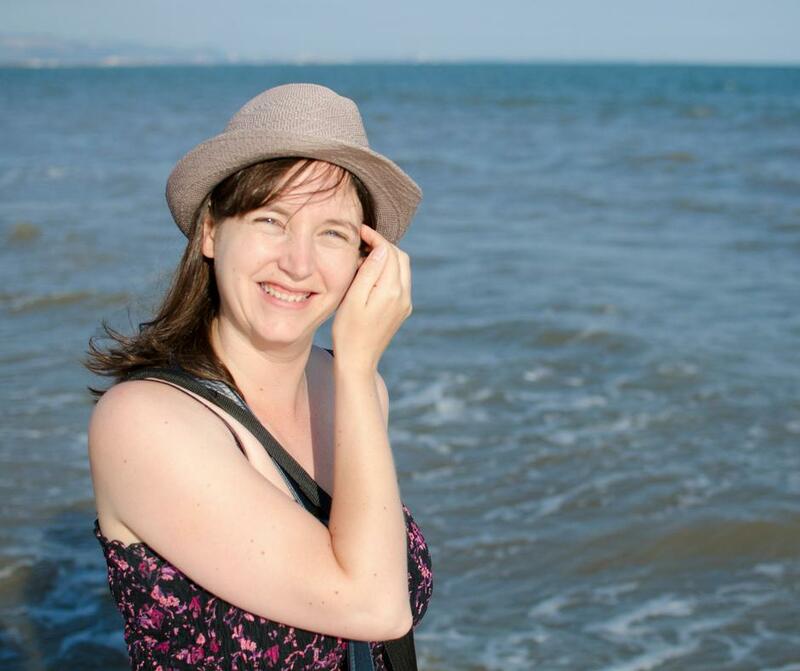 Now, I'm not one to share bikini photos but today the blogging community – and other people who knew @witwitwoo are standing together and sharing #swimsuitselfies in honour of Kate. You see, she passed away earlier this week. She was bold, bright and beautiful and she inspired so many women to see the best in themselves. Her death has been such a shock – she was far too young and she lived life to the full. She loved to travel, she loved life and her two sons were her world. She was a single parent and everything she did was with her boys as her focus. I have thought of Kate often this week. If there's one thing that will come of this for me it's that I will #bemorewitwitwoo at every opportunity – being me, being proud of that and giving people in my life a pat on the back and a hug when they need it. We miss you Kate. There's a GoFundMe page set up to pay for her funeral – giving Ben and Dex one less thing to worry about at such a sad time, and I've added the link to my Instagram bio – every penny makes a difference at such a hard time. My third choice is this wonderfully fun photo from Jacqueline from Jac|Sweet life in Melbourne. I dare you to look at this photo and not smile! My last pick for this time is from Lianne at Ankle Biters Adventures. I just think this is such a lovely photo of Lianne and her family, and her message is a timely reminder to all of us to look past the imperfections that we think are there in the way we look and instead see the moment that’s been captured, the memory that’s been recorded for our families in years to come. This photo was taken last Friday evening when we popped down to the beach after the children had eaten their tea. They had a great time swimming even though it was a bit cooler than it has been recently, and I loved having a little paddle and taking far too many photos of them. I’m getting pretty good though at handing the camera over for a few minutes and getting Steve to take a few quick photos of me as well! If you’d like to join in with my little community and possibly be featured in my next round up (with a nice link back to your blog!) then just share a photo of yourself over on instagram using #ShowYouWereThere. It’s all about getting more parents in more photos. And if you’d like to take part in my guest post series ‘The photo I’m thankful for‘ then take a look at this post or email me at thisgloriouslife@gmail.com for more information.